There’s no turning back the clock. Your time on earth is running short and you know it. You’ve said all your good-byes. What would you pray for? Not knowing for sure what lies beyond life’s veil drives us to hold on as long as possible to the only life we know and the people we love most. Pain sometimes pushes the dying to wish for relief but sadness always accompanies their departure. Jesus knew life from both sides-heaven and earth-life with Creator Father and life with the created and he loved both. 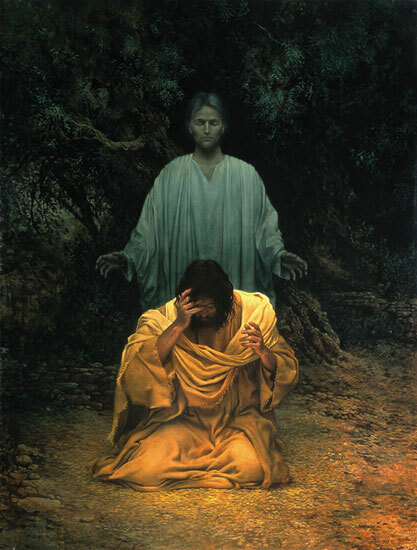 In his last hours Jesus retreated with his twelve disciples to a quiet spot in Gethsemane asking his closest friends, Peter, James and John to accompany him while he prayed. “Father, the time has come. Glorify your Son, that your Son may glorify you. For you granted him authority over all people that he might give eternal life to those you have given him. This is Jesus’ purpose: to freely offer all humanity eternal life. And what is eternal life? “Now this is eternal life: that they may know you, the only true God, and Jesus Christ, whom you have sent” (John 17:3). God’s greater purpose, to redeem His Creation and set His kingdom right was Jesus’ sole purpose for living and dying. Faced with the hardest choice of his ministry, Jesus chose the Father’s will for the sake of humanity-that we would know the Creator Father like he knew Him. For those of us who know the saving grace of Jesus, who know the Father like Jesus does, shouldn’t our daily prayer be that of Jesus’ dying prayer? Shouldn’t we pray that those we love and invest our lives come to know the only true God and his Son, Jesus because of how we live? And when we find ourselves ready, at the end of our days we too may finish our prayer like Jesus: “I have brought you glory on earth by completing the work you gave me to do” (John 17:4). How we thank you today for your sacrifice on Calvary’s cross. Because of your unselfish love, we are able to call God our Abba, our heavenly Father and truly know Him like you do. Thank you. May we, too, love others-those you’ve entrusted to our care-like you love us. May we glorify our Father God in our daily lives and in so doing, shine your light into their darkness and draw them to you that they may know eternal life. Amen. (To learn more about Dawn or visit her personal blog, please visit our Contributors page). I was raised in the Faith and yet in so many ways, the teachings I experienced fell short. I believed in Jesus. CHECK. I believed in the Father, the Son and the Holy Spirit. CHECK. I could confidently say, “Yes, I believe in God”. Those 2 little words were very telling, but was I sure about spending eternity with God? When asked, I confidently answered, “Well, I sure hope so.” But, a little red-headed Southern child changed all of that. Future conversations surrounding God took a gentle pace. Linda invited me to her Bible study several times until I said, “Yes.” Little by little, I became comfortable; like tasting a new food and saying, “That wasn’t so bad.” Later, while attending a Christian Women’s Breakfast in Linda’s place the TRUTH exploded in my heart. The speaker’s testimony rang true in my heart and it was then that I first realized I was a sinner in need of a Savior and I said “YES” to the Lord. I “hope so” left my vocabulary that morning and I couldn’t wait to tell Linda. When I drove into her driveway, she was already waiting on her stoop. The Lord told her that this women’s breakfast was my day and instructed her to stay home for my sake. If she hadn’t stayed home, I would not have attended. A little girl, a Christian friend, a Bible study and a Christian woman’s testimony all worked together for my good. God opened my eyes and helped me realize that knowing about Jesus is not the same as knowing Him; that knowing Jesus brings real hope and replaces all the I hope so’s. Lord, there are so many who believe You exist, yet do not know You. Let this season be one in which new seeds of hope-filled truth are planted and may we be witness to the resurrection and gathering of New Life. (To learn more about Linda, please visit our Contributors page). Let those who desire my vindication shout for joy and be glad, and say evermore, “Great is the Lord, who delights in the welfare of his servant” (Psalm 35:27, NRSV). There are probably a few crazies out there, who, like me, fixate on words. My more outgoing friends are fascinated by the interrelations between other people–how one personality interacts with another and another and another, creating intricate webs of fluid society. Although a word, like a person, is most fully a word in community, it needn’t be in relationship to be admired. Ogle supermodels, if you like; I have been caught obsessing over a single word striking a pose on a plain white sheet: the balance or imbalance of the ascenders and descenders (the upward climb of the d and the downward fall of the p), the feel of the word in my mouth, its etymological back story, and most of all the latent range of meanings and the infinite conceptual possibilities they present. The current case study in my psychosis is vindication. The word has occupied my brain and infiltrated my regular vocabulary for the better part of half a decade now. What is it? Put simply, vindication is the state of having been proven correct. It is the rightful overturning of a guilty verdict. Some confuse vindication with victory against long odds. True vindication requires, actually, failure. And then it requires a third party to elevate the defeated to triumph. In short, vindication is resurrection. The summation of Jesus’ life and message may be found in Mark 1:15. “The time is fulfilled, and the kingdom of God is at hand; repent and believe the good news!” Everything Jesus said and did every day was intended to demonstrate, to prove, the truth of this proclamation. The glorious kingdom of God, in which the entirety of creation would be reconciled and restored to its hijacked glory, was taking shape right before the throngs who came to hear and see what this Galilean was doing. The Creator was making all things new, and it was all happening, according to Jesus’ declarations, in and through himself. Others had made similar declarations around the same time that Jesus had. In each of the generations preceding and following Jesus, men had risen to announce that the Lord was working through them to restore the people of God. Yet each of their lives ended violently as tragic proof that they were not, in fact, God’s chosen vessels of restoration. Everyone knew: The Lord’s agents of redemption do not die in the attempt. So it was, it seemed, at Jesus’ crucifixion. It did not have to be written. An interpreter did not have to stand at the foot of the cross to inform the people. The Jews of Jerusalem knew what Jesus’ death meant. However wonderful his words, however miraculous his deeds, however the extent of his compassion, the crucifixion announced the failure of Jesus’ proposed program for redeeming creation. Indeed, this would have been the lesson to learn from the life of Jesus for all time had the Creator not intervened, for the resurrection is God’s final stamp of approval on all that Jesus had said and done. The empty tomb is the Lord’s affirmation of Jesus’ project. This is God saying to all the world, “This is precisely how the world is remade. This is exactly how I have intended to make all things right.” Moreover, the resurrection is the vindication of Jesus’ faith in his Father. It’s a beautiful word, vindication. This Easter, I am happy it is a vital part of God’s vocabulary, as the Lord’s vocal response to a life of faith. And if the printed word is unbalanced, with no descenders, it is altogether proper, since vindication always concludes with elevation and since vindication, by definition, is always the last word. (To learn more about Mike, please visit our Contributors page). A few years ago, I attended a debate between an apologist and an atheist. Due to my bias, it is difficult to say who won. 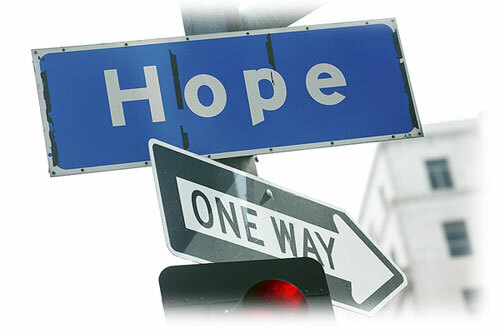 One of the things that stood out for me was the atheist’s lack of hope. For him, death signified the end of existence. Our bodies are placed in a wooden box that is lowered into the ground where worms and time destroy what was once our earthly habitation. How sad. Similarly, the Sadducees of Jesus’ day did not believe in life after death, either. Rather, they believed that when the body ceased to exist, the flame of the spirit was extinguished also. In Matthew 22:31-33, Jesus confronted their belief system saying, “But concerning the resurrection of the dead, have you not read what was spoken to you by God, saying, ‘I am the God of Abraham, the God of Isaac, and the God of Jacob’? God is not the God of the dead, but of the living.” This glorious statement confirms that there is life after death and that we will spend eternity with God. Eternity is a level of intimacy with God that we cannot comprehend. As a newly married man, I know that I am barely scratching the surface when it comes to knowing and understanding my wife. That being said, I know so much more about her now than I did when we first started dating. Each of us, however, brings different levels of brokenness to the relationship that interferes with our ability to know everything about one another. 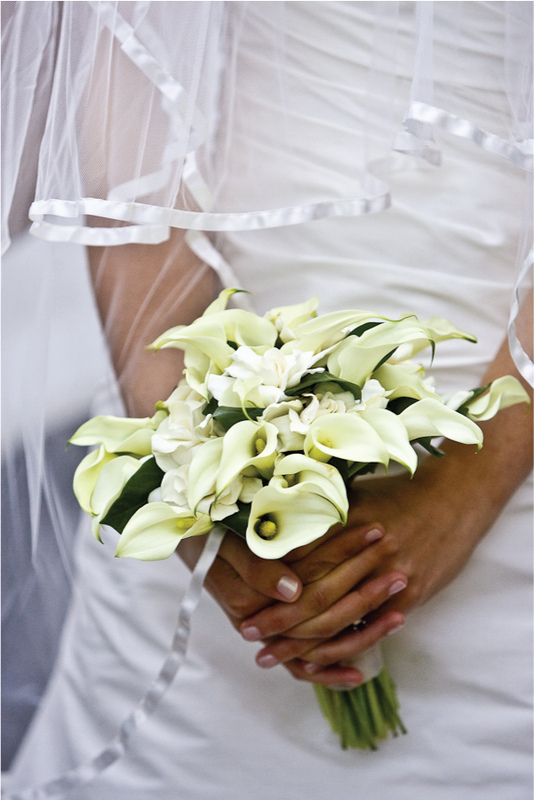 Throughout the New Testament, Jesus is referred to as the Bridegroom and His followers as the Bride of Christ. Some day in the not too distant future, there will be a wedding between the two. That day will usher in the establishment of the most beautiful and intimate relationship the world has ever experienced. 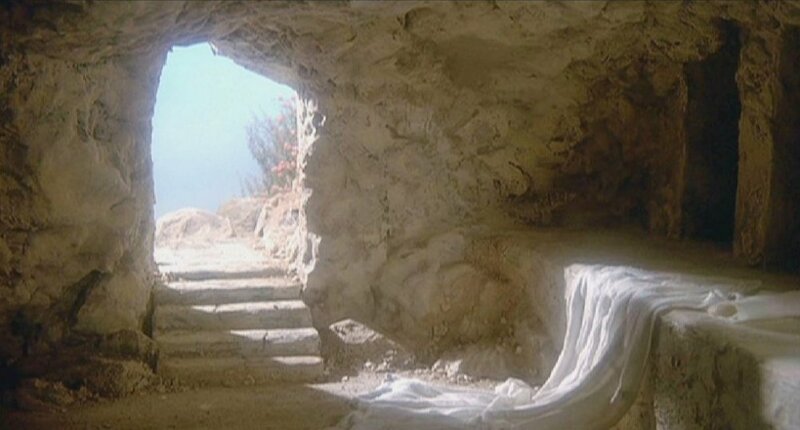 In a few weeks, we will celebrate the resurrection of Jesus that made eternity possible for us. During your quiet time, ask Jesus to begin revealing Himself to you as the Bridegroom who died so that His bride might live forever. I guarantee He will give you a foretaste of the intimacy that awaits us in eternity.